When someone is fatally injured because of the negligence, recklessness, or intentional acts of another person (or a company), the legal term used is wrongful death. These cases can come about in a variety of contexts: transportation or workplace accidents, medical malpractice, or products liability, to name a few. When they do occur, relatives of the victim need to know that the wrongful death law can provide some measure of relief – and accountability. It provides for compensation for the damages incurred as a result of the wrongful death of a loved one. And by doing so, it forces those who caused the harm to take responsibility for their actions. The emotional and monetary losses suffered by a family after a wrongful death can be devastating. Most plaintiffs know that they may be able to recover for the deceased’s lost earnings, and pain and suffering. But they can also recover for damages such as medical and funeral expenses, loss of pension benefits, and their own mental anguish and loss of care, protection, and companionship. Recovery, however, can get tricky, as each state has its own wrongful death statutes, unique to its own jurisdiction. That’s why it’s important to speak with an experienced wrongful death lawyer who is not just familiar with state law, but an expert at leveraging and navigating it. Our team obtained a $6 million verdict, including attorney’s fees and costs, for the loved ones of a mother who died as a result of surgical mismanagement of a urological procedure. Tragically, the nurses had incorrectly assembled the machine to be used during surgery — instead of sucking in air, the machine blew out air. The surgeons, who had attended a three-day course to operate the machine, failed to recognize that they had filled the patient’s body with air, resulting in her death. At Babbitt & Johnson P.A., we’ve been litigating under Florida’s wrongful death law for five decades. In the hardest of times, our clients can rest assure that we are dedicated to protecting their rights – and aggressively enforcing them. Read our wrongful death FAQs here. 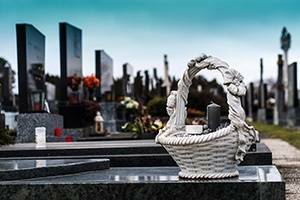 If you have a family member that has died because of the negligence, recklessness, or intentional acts of another person, contact the award-winning Palm Beach County wrongful death lawyers of Babbitt & Johnson P.A. at (561) 684-2500.